Outlandish exuberance is all the rage in the poker world and the more something sparkles the more likely it is to get noticed; moreover, bought by someone with more money than sense. Indeed, over the past few years tournament organisers have strived to make their bracelets, trophies and trinkets ever more appealing by embellishing them as much as possible. 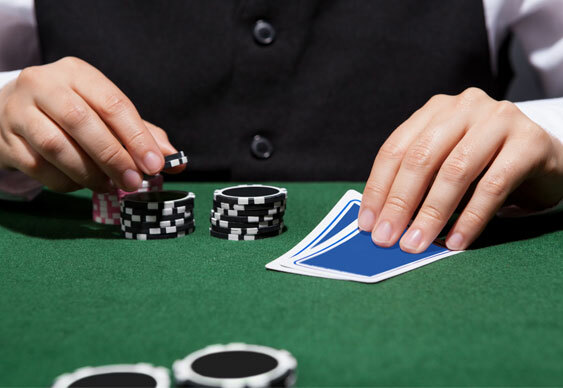 With the trend for expensive poker bling now a common thing in the poker world it's little wonder that the latest thing to be given an expensive makeover is the humble poker chip. Usually found in a standard plastic format and decorated with a range of standard colours, it's fair to say that poker chips aren't usually considered high-class jewellery. 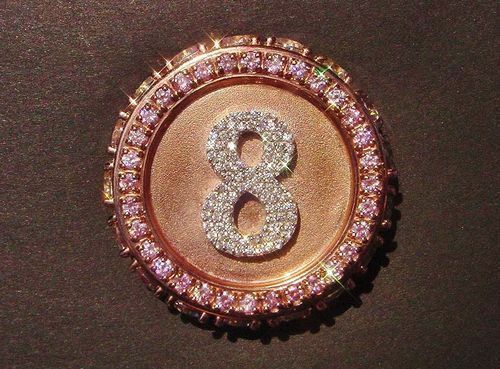 However, all that's now changed thanks to a Toronto based jeweller who's created the world's most expensive poker chip. A mixture of pink gold and diamonds (both white and pink) weighing more than 2.5 carats, Gerald Lewy's poker chip has been valued by the Guinness Book of World Records at $450,000. Overall it took Gerald 2 1/2 years to complete the project but now it's finished he's more than pleased with the piece. Indeed, despite the chip's sale price being set at $275,000, the valuation made by Guinness World Records is based on the insurance price for the piece, so in terms of the record books the higher value stands. Image courtesy of Gerald Lewy. Commenting on the originality of his work of art, Gerald told CJNews.com: "I’m dyslexic and I created it. It came out of my head. There’s nothing similar. Nothing comes close to it."